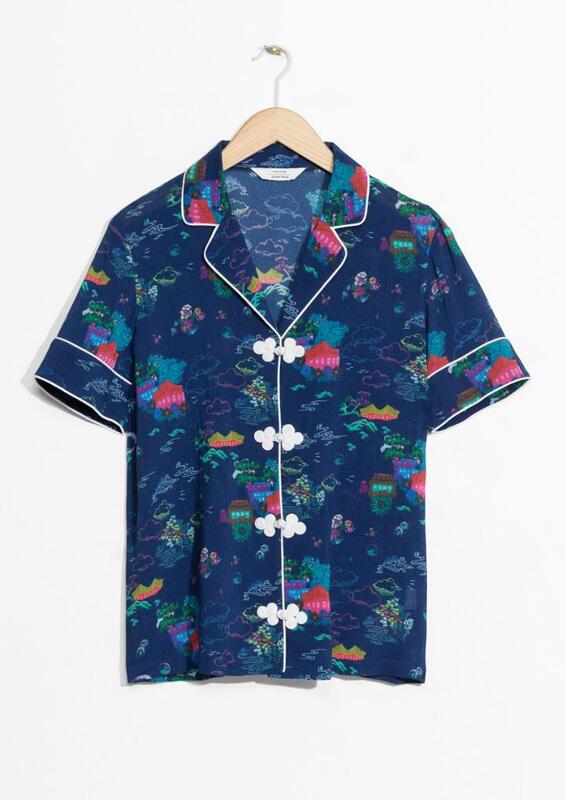 From bedroom to boardroom in style, this chic collar blouse features Asian-inspired knot buttons and an overall scenic print that adds to its playful vibe. Contrasting piping trims. Length of blouse: 64.5 cm. Model wears: UK 10/ EU 36/ US 6.